Romantics have waxed poetic about the rose and the connection to love for centuries which has made the rose an undeniable symbol of love. 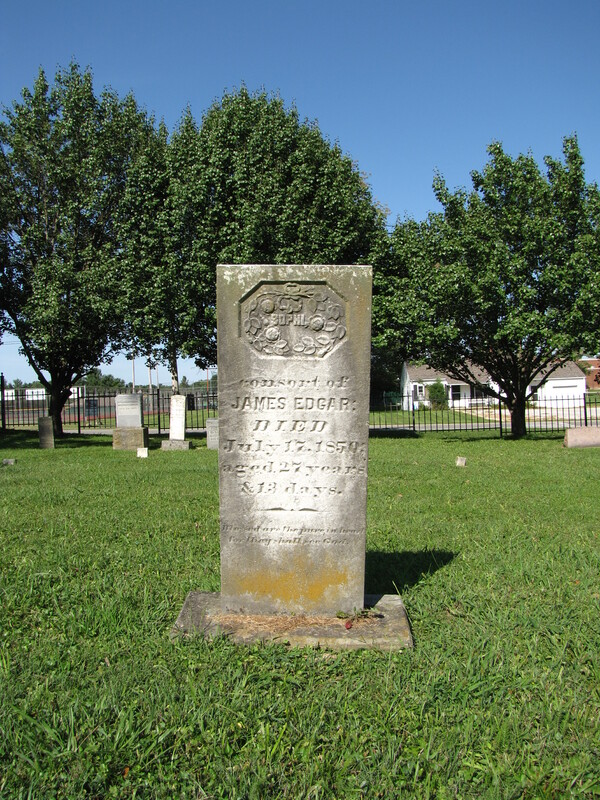 On this gravestone, James Edgar, expresses his love for his wife, Sophi, who only lived 13 days past her 27th birthday with the rose symbolism in the octagon-shaped recess at the top of the soft white marble gravestone. 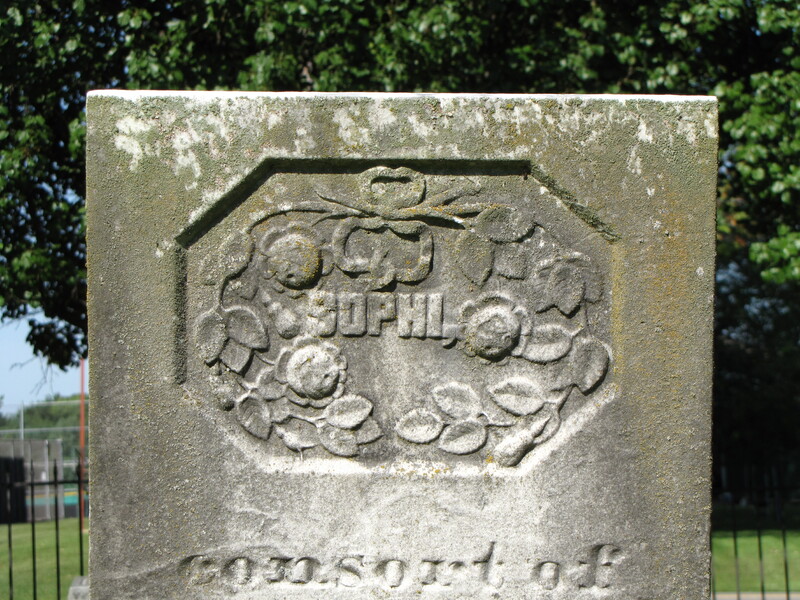 The two sprigs of roses are tied together with a bow encircling Sophi’s name. Each fully-blossomed rose is accompanied by a rosebud perhaps symbolic of a woman old enough to be married but still so young. The rose also has a religious meaning, differing by color. The white rose symbolizes purity while the red rose represents martyrdom and the messianic hope that Christ will return.